Formerly the National Film Theatre, this much-loved four-screen venue on the South Bank in Waterloo became the BFI Southbank in 2007. For film lovers who know their Kubrick from their Kurosawa, this is London's best cinema. Certainly, it's the city’s foremost cinema for director retrospectives and seasons programmed to showcase international work or films of specific genres or themes. It’s the flagship venue of the British Film Institute and plays home each year to the BFI’s London Film Festival and to the BFI’s seasons, such as 2014’s celebration of sci-fi. BFI Southbank also regularly hosts Q&As with some of the world’s leading filmmakers. The venue itself is a hot spot, with two bar-restaurants (one overlooking the river, nestled under Waterloo Bridge), a bookshop (good for DVDs too) and a library. I went and watched the recent showing of Breath at BFI Embankment Gardens. Beautifully set in the Embankment garden pop up. It was an absolutely lovely event. Movie lovers if you haven’t been you must! The Movie Breath is based on the real life of Robin and Diana Cavendish and a heartwarming take on their love story.Without going into the full story if this movie isn’t your cup of tea worth visiting BFI to watch one that is. 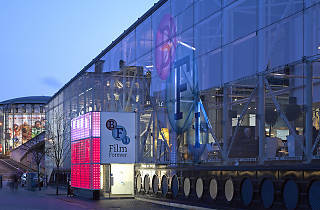 One of London's ultimate treasures the BFI is a film lovers dream. From the library to the movie screens this building encapsulates a vast ranging history and understanding of modern film. Whatever you may be looking for there's a pretty strong chance the BFI will have books and articles about it and can inform you on your research. Even if you aren't going to do research and just going for the cinema you will have a wicked experience. With each film there is a hand out about the film, director and how it was made and you get to watch amazing classics and new films on a screen of amazing quality. Generally not too pricey so don't be put off by the BFI's Southbank location as it only adds to the experience of this wonderful place. There are also two cafes which turn into bars and restaurants in the evenings so you can enjoy a lovely glass of wine before and after your film. It really is a superb place to experience some real cinema and allows you to take more from it than your average Vue or Cineworld. 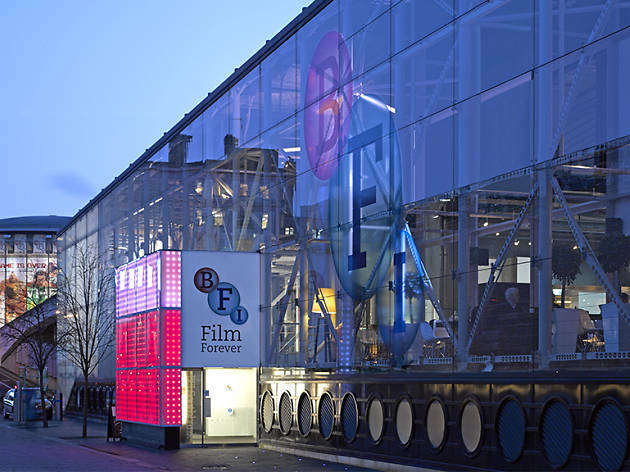 The British Film Institute (BFI) on Londons' Southbank is a movie buffs paradise. Offering films from around the world and at home,from indie and cult to classic favs and the odd new (ish) release as well as hosting gala events throughout the year, there is always something to see that you may not otherwise see at your regular picture house. I like how the BFI offer different season's from great directors like Tarantino to celebrating accomplished actors like Helen Mirren. It had a dedicated BFI Flaire season that shows all things LGBT, and coupled with a few nice restaurants and bars it's a good place to get your dose of cinema pleasure. I'm seriously considering getting a BFI membership because the constant creativity behind their seasons and film selection is a pleasant surprise each time. The shop inside is a film lover's treasure trove, the bar is a nice pre or after event hangout or music spot, and some of the screens have a decor that is a nice alternative to the usual cinema setup. The BFI is a film lovers dream. This is a place where you can come and see groundbreaking cinema from across the globe,classics,Indie gems and packed with special events throughout the year. This is where you come to see great cinema. I have been a good few times and I have always had a brilliant time. The cinema itself is comfortable and screens are of a good size. Most recently I came and watched Eraser Head,which was fab to finally see on the big screen. It's also a cool place to hang out,I do often meet friends there for a coffee or drink by the south bank as it's cafe has lots of seating outdoors with heaters. Set on an idyllic spot ,it's a perfect place to meet for a bite to eat or to discuss the film you have just watched at length :P! Wonderful place, I found the seats extremely comfortable but verything is expensive (food, drink, merchandise) except the cinema ticket price but what a great atmosphere and comfortable seating area. Worth considering membership at £40 pa for priority booking, discounts on tickets, food, drink & merchandise. I can’t argue with the compliments on the film programming of the BFI, there is nowhere in London that you’d find so much quality in films old and new, nor so much opportunities to see ‘alternative’ ones. But for the all refurbishment in the last (I don’t know, decade?) they could have done a better job with the seats (if you have a somewhat tall person in front of you, you’re doomed; if you’re the tall person, tough luck, no place for your legs – at least on NFT 3 –; and if it’s full, you gonna watch the film completely sideways). And even on the NFT 1 (the main one), the screen is not that big. Also, unless you think of ‘gourmet’ candies when you think of cinema, you’ll have to walk a lot to find normal (and normal-priced) candies. It is still a good cinema, just disappointing considering it’s the main venue of the British Film Institute. This must be one of the best film venues in the world, not just in London. I love it for its programming as well as the theatres themselves. It always has film seasons, festivals, retrospectives and special events. It hosts Flare, London's best LGBT film festival. It has dozens of showings combined with Q&A sessions with the film makers involved. It has a fantastic shop and library. It also has Mediatheque; this is a resource where it possible to search and watch many hours of film and TV for free. The Benugo bar and the Riverside are great places to meet up before or after screenings. There's simply no rival in London if you're looking for a cinema that specialises in retrospectives and special seasons on directors or themed work or work from a particular country. Their special events (Q&As etc) are strong, and the venue has massively improved in recent years in terms of being a place to eat and drink before or after a film. Many people now simply use it as a place to hang out without even seeing a film. Great venue with really comfy seats. The shop is brilliant for finding obscure films and film-related books. One of the best cinemas in London. Hadn't been for a while, having given up my membership to economise. It's so lovely - v comfortable cinema, considerate viewers & such a lovely, cosy bar. My only complaint was that our tea was horridly weak even after loads of brewing. A window into the wider world. The home of London cinema. It is a place where you can feel part of a community of film lovers, young and old, rich and poor, of every background. There is no bigger thrill than seeing your cinematic icons where they belong: on the big screen in front of a packed house. Seeing 'It's a Wonderful Life' at the BFI should be a London rite-of-passage. From the red velvet curtains to the brilliantly eclectic screening schedule to the awesome bar, the BFI is without doubt a diamond in the crown jewels of London things to do...if you are in anyway a fan of cinema and you are in anyway close to the Southbank, you owe it to yourself to visit. Having been there on previous occasions to see films as diverse as 'Gone With The Wind' and 'Boyhood' (an event made all the more special for the Q+A with director Richard Linklater that followed it), I was already a BFI groupie but this afternoon's visit - a 40th anniversary screening of 'Bugsy Malone' and a Q+A with legendary director, Sir Alan Parker, and 'Babyface' actor, Dexter Fletcher - made me desperate to rush home and once again, declare my love for this establishment to all you lovely readers. Sat in the sunlight flooded bar out front before hand, watching people browse the Southbank Book Market while blue skies provided the backdrop to the glorious skyline of London, I felt lucky to be there, proud to call this city my home and giddy-as-a-10-year-old excited to get inside and start singing along. The screens themselves are utterly gorgeous and kept in immaculate condition thanks to the tirelessly helpful and cheery staff who work there. Films shown include recent releases as well as retrospectives that present you with whole new worlds of movie going experiences - the Kathryn Hepburn one introduced me to the sob-fest that is 'On Golden Pond' - and themed seasons that encourage you to be brave and bold when selecting something to watch. Prices vary but are generally no more expensive that what you'd have to fork out for the delight of sitting in a decrepit, sticky floored chain cinema a few streets away and the bar & cafe that sit at the front of the building and spill onto the pavement outside are perfect for a pre-show drink, a post-show analysis or just a mesmerizing people watching date. This is absolutely one of the very best ways to watch movies in London and to support a place dedicated to keeping them alive for each new generation of film goer. Great place for all who like to see more than the new Avengers. BFI not only shows the latest releases but they are constantly introducing monthly topics revolving around the work of a single person - Katharine Hepburn, Vera Chytilova, Orson Wells to name but a few. They have also an amazing bar by the main entrance, and the whole place has a very art-y (but not annoying) ambience. It upgrades the experience of going to the cinema by a few levels compared to the pop-corn entertainment of CineWorld or Vue. Arthouse film lovers will feel at home here. I particularly like the bar on the side entrance. Been there with a group on a Sunday brunch and worked well for that too.